Over the last thirty years, Thailand’s superb hospitality and attractions have attracted millions of tourists from around the globe. A large number of international hotel chains have set up in the Land of Smiles, which are attractive to many couples seeking the perfect venue for their destination wedding. However, growing demand from tourists seeking a little more personalised luxury has also led Thailand’s private villa rental market to blossom in the last decade. Private villas on islands like Koh Samui and Phuket boast a range of excellent facilities, including lavish interiors, infinity lap pools and landscaped gardens, to rival the amenities found in any hotel resort. 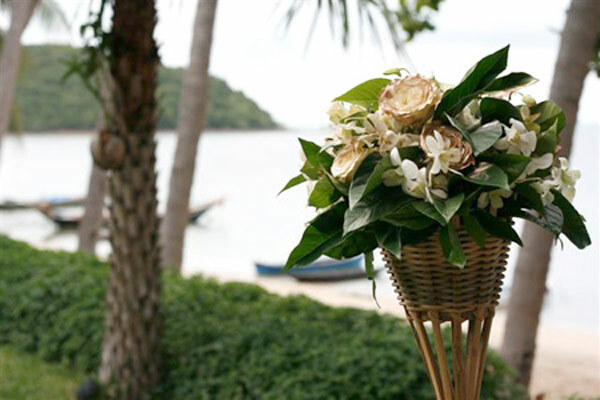 One of the best things about saying your vows on the shores of Thailand is the freedom to choose. 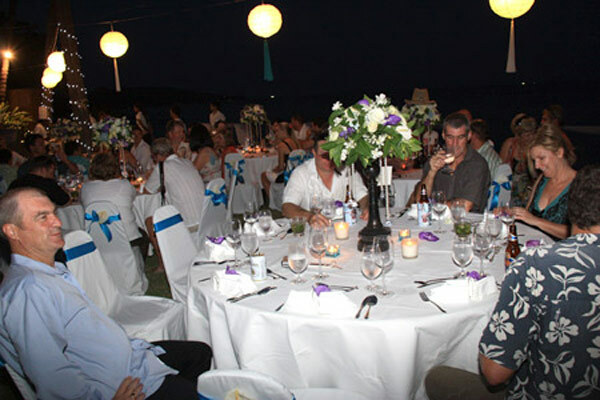 As well as selecting the right food and entertainment for your wedding, you can also choose the right ceremony for you. While some couples still opt for a traditional Western ceremony, many couples enjoy delving completely into Thai culture by tying the knot in a Thai Buddhist ceremony. Christian ceremonies and civil ceremonies are also available. To make their wedding day truly personal, an increasing number of couples are now beginning to write their own wedding vows. One of the best ways to make your wedding decorations truly unique is to design them yourself. If you are not blessed with dazzling creative skills, this is where the expertise of your wedding planner can come in extremely handy, as he or she is always up to date on the latest décor trends. Once you have selected a theme, the wedding planner is able to source the best local deals on materials with his or her extensive list of contacts. If you want your wedding to be one to remember, a little live entertainment is often what it takes to add the “wow” factor. Why not treat your guests to an authentic display of Thai culture by kicking off your ceremony with a traditional drum procession? As well as whipping up a little excitement, the rainbow of elegant silk performers has a spectacular visual effect. Once night has fallen, many newlyweds choose to get the party started with a live band. Whether that comes in the form of a soothing acoustic guitarist or the explosive sound of a local rock band is up to you.